I have so many food idiosyncrasies, it would take hours to list them all! I always assume I’m the pickiest eater in the world. But, I do like to challenge them. 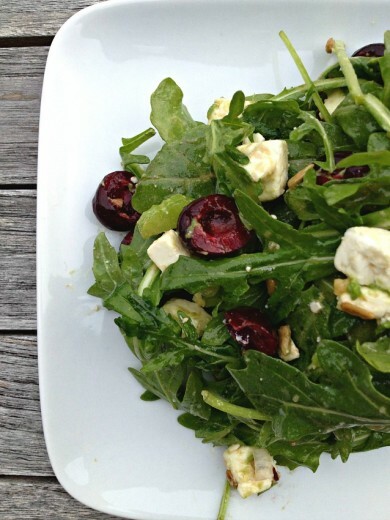 Cherries in a salad with feta sounds fabulous. I wouldn’t be picky about this at all. My local store carries so many different Fetas. Do you have a brand you love? Totally agree on the nuts! I will pick them out or eat around them. This salad looks great. Thanks! I am pretty sure I have a few food idiosyncrasies as well…a dislike of beets and mushrooms (except morels…which I love. of course.) And I’m the same way about food touching…I even eat sandwiches in pieces instead of in one big bite! I actually LOVE fruit in my salads so this sounds amazing to me! Suzanne, I think Mt. Vikos is a really good option. like yours, although my husband likes almost anything i put in front of him, he refuses to eat beets! it makes me crazy cuz i think they are AMAZING! and i SO agree with you on the nut thing! 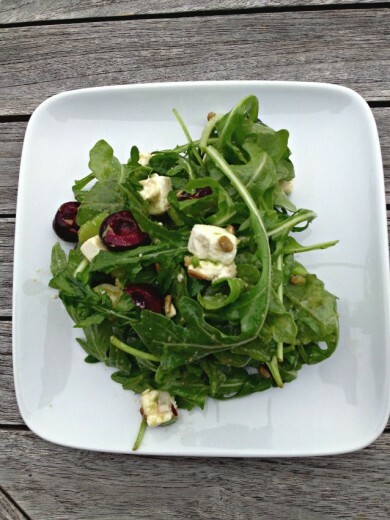 This is definitely the Summer of Arugula for me. I planted a few small plants earlier this spring, they went bananas, and I’ve been eating the leaves every day. 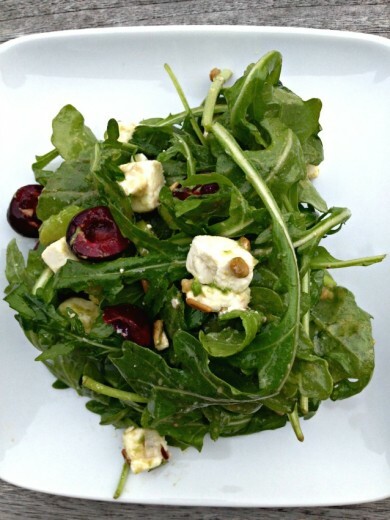 Pairing it with cherries and feta sounds great. I’m really enjoying watching your summer unfold on Instagram, by the way. Your family has totally acclimated to the California sunshine by the looks of it!